In September 1982, the first Toyota Celica turbo was launched in Japan for the local market only - the GT-T (TA63). This was used as the basis for Toyota's Group B Celica Twincam Turbo (TA64). While most other manufacturers opted for four-wheel drive, the Celica Twincam Turbo (and Lancia 037) retained a rear-wheel drive powertrain. The 2.1-litre engine could produce up to 380bhp, making the TA64 one of the most powerful two-wheel drive rally cars ever built. The car made its debut on the 1983 1,000 lakes Rally and was driven by Juha Kankkunen to a sixth place finish. On its next outing it was an outright winner, piloted by Björn Waldegård to victory on the 1984 Ivory Coast Rally. The car proved to be particularly strong and reliable which made it ideal for the gruelling African events. 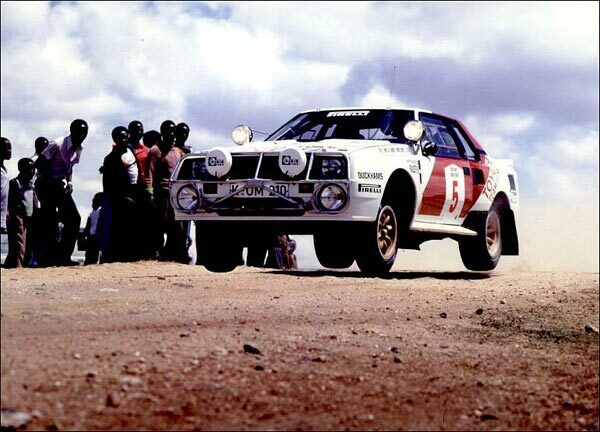 Between 1984 and 1986 it scored a hat-trick of Safari Rally & Ivory Coast rally victories. Its dominance in these long-distance rallies was ended when the Group B format was dropped at the end of 1986 and replaced with the lower-powered Group A cars. Nice model. Hoping Otto use the mould to make a gravel/tarmac car. Kankunen RAC 84 would be good! Not a fan of the car but in Safari trim it looks a lot better. But what a model! Fantastic looking model Douglas . When I see stunners like this, it makes me think about dumping 1/43 and going back to 1/18s .